Thanks to everyone that supported Pastinthepresent.net during 2014. Over the past 12 months I’ve had great fun uncovering history in Britain and beyond – and I’ve really enjoyed sharing my adventures with you on these pages. Given that I live and work in London, most of my blogs have been about the capital. Here, I found the Rev Thomas Beames – who published in 1852 a book on the Rookeries of London – to be a great guide. Over the course of 1852 I followed in his footsteps, with a series of posts. I also looked at Victorian entertainment, by exploring the lost world of Crystal Place and Wilton’s Music Hall. And what happened when the Thames froze over and Frost Fairs sprung up is also facinating. Georgian London was also a big theme for me in 2014, with blogs exploring everything from new neighbourhoods on the south of the river thanks to the construction of bridges. It’s also been fascinating seeing how London is changing, not least at Nine Elms (Battersea) where a whole new neighbourhood is in the process of being constructed. Unfortunately in the past sometimes things move too quickly as the brutal demolition of the old Euston station proved. And while I prefer 18th and 19th century history, some 20th century developments deserve to be visited, such as Becontree. But I also travelled further a field in 2014, visiting my home town of Bristol where I found out why the city’s Georgian spa resort deserves its place in tourism history alongside better known bath. Further north, I looked at the Yorkshire Dales National Park 60 years on from its creation. And I had several trips to north west, taking in Manchester (and a suburb called Ancoats – the world’s first industrial suburb) and Liverpool. Near to the latter, I had an enjoyable day at Port Sunlight. I also wrote about my year following in the footsteps of the Knight’s of St John – from Clerkenwell to Jersusalem (via Malta and Rhodes). 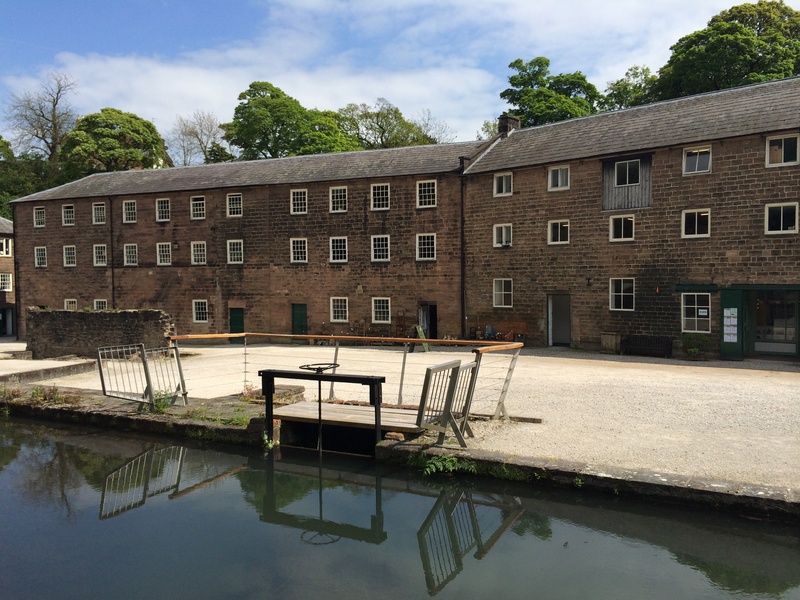 And getting out of London on short trips also enabled me to get to grips with our industrial past, such as visiting the first factory in Derwent Valley. Then in Birmigham I saw how the partnership between Boulton and Watt helped shape the modern world. In Rochdale I found out about the birth of the Cooperative movement. But did the Industrial Revolution really have a negative impact on people’s lives? Decide for yourself. If you are a regular reader of my blog, you’ll know the places I’ve desribe above are only a snapshot of the fascinating discoveries I made in 2014. Pastinthepresent.net will take a short break for the next few weeks and we’ll be back with a bang with more great adventures from the end of January.